This page provides links to the most recent Steel Construction related articles, features and supplements that appear regularly in the key UK construction press. New Steel Construction (NSC) magazine is provided free of charge ten times a year by the BCSA and Steel for Life, designed to keep you up to date on key developments in steel construction with a blend of industry news, current project reports, interviews with key industry figures and technical features from the SCI. The magazine is available free of charge in a paper format for the UK and Ireland as well as in a digital format for use on tablets, smartphones and desktop computers. A regularly updated website also carries news of steel construction issues and projects, as well as the NSC digital library containing the current issue and archives. The Advisory Desk or AD Notes published in every issue have been brought together and are available here. This NSC Annual Review brings together a number of projects featured in NSC magazine throughout 2017 that highlight the benefits of using structural steelwork for construction projects. These case studies are real proof of the cost, programme, safety and performance benefits of using steel framing. Each article tells a different story from the BREEAM ‘Excellent’ commercial buildings at Southbank Place, London to the speedy delivery of the New Orkney Hospital and Healthcare Facility on the outskirts of Kirkwall. While they may be very different projects, in all cases the use of steel framing has delivered a suite of benefits to the design team, the construction programme, the building owners and its users. This publication also showcases the wider benefits of steel under a number of headings – such as safety, speed of construction, cost, quality, sustainability, innovation, offsite manufacture, and key performance attributes such as vibration and acoustics. This NSC Technical Digest brings together all of the Advisory Desk Notes and Technical Articles from the steel construction sector published in NSC magazine throughout 2018. All of these articles can also be found on www.newsteelconstruction.com but we have responded to requests to bring them together in a separate format with this publication, the third in what is intended will be an annual series of Technical Digests. AD Notes reflect recent developments in technical standards or new knowledge that designers need to be made aware of. Some of them arise because a question is being frequently asked of the steel sector’s technical advisers. They have always been recognised as essential reading for all involved in the design of constructional steelwork. The longer Technical Articles offer more detailed insights into what designers need to know, often sparked by legislative changes or changes to codes and standards. Sometimes it is simply felt that it would be helpful if a lot of relatively minor changes, perhaps made over a period of time, were brought together in one place, so a technical update is needed. We hope you find this new publication of value. Tailored for construction professionals, cost consultants and quantity surveyors interested in current cost related information, case studies of steel-framed buildings. Tailored for architecture and design professionals interested in case studies of steel-framed buildings and topic related information. Tailored for engineering professionals providing case studies of steel-framed buildings, updates on resources and tools for those involved in designing steel frames. If you are interested in receiving this free newsletter you can sign up here. The monthly magazine produced for the architectural community included a bi-annual supplement in 2014-15, Steel Solutions, covering steel construction project case studies and current topics of interest to Architects and others involved in design and construction with steel. 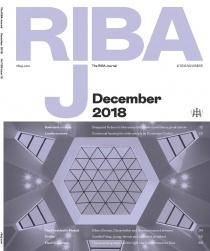 The official publication of the Royal Institute of British Architects, RIBA Journal includes a series of supplements, Steel Intelligence, covering steel construction project case studies and current topics of interest to Architects and others involved in design and construction with steel. ‘Costing Steelwork’ is a series in which Cost consultants AECOM provides guidance on the key elements of costing structural steelwork. 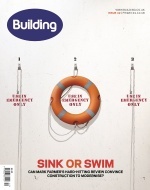 These articles, which are published in Building magazine every quarter, examine the key cost drivers for different sectors, provide a building type specific cost comparison and include a cost table with indicative cost ranges for various frame types. These cost ranges can be used to act as a comparative cost benchmark. Subsequent articles will include cost comparison updates for each sector to ensure the cost data remains current. The series comprises studies into commercial, education, mixed-use, retail and industrial buildings. Each article also examines the process of cost planning throughout the design stages, and provides a market update on tender price trends. Cost consultants Gardiner & Theobald produced a quarterly article from 2011 to 2016, Steel Insight, published in Building magazine, covering the cost of structural steelwork. The series provided guidance across a range of cost-related topics and market sectors for anyone in the supply chain with an interest in the cost of steelwork. Each issue of Steel Insight included a table of indicative costs for structural steelwork and associated products that were current at the time. The weekly newspaper for Architects, Building Design magazine, included a quarterly supplement from 2011 to 2013, Steel Focus, covering steel construction project case studies and current topics of interest to Architects and others involved in design and construction with steel. 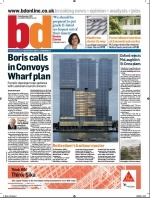 Construction News is a leading weekly source of news for the UK construction sector. It includes a regular supplement, Steel Spotlight, covering steel construction project case studies and current topics of interest to everyone in the construction supply chain with an interest in steel construction. 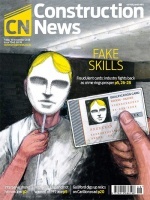 New Civil Engineer is the magazine of the Institution of Civil Engineers. It publishes a biannual special report, Structural Steelwork in Action, which covers the crucial role played by structural steelwork in the UK construction supply chain. 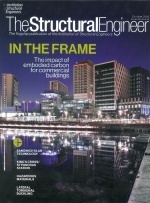 The Structural Engineer is the magazine of the Institution of Structural Engineers. It covers news as well as techncial articles and features of relevance to structural engineers involved in steel design and construction. The Structural Steel Design Awards 2018 brochure was produced by the BCSA and Trimble Solutions (UK) Ltd in association with Kovic Design Limited. Six projects were Award winners at this year’s Structural Steel Design Awards (SSDA), which were announced at a special presentation held at Banqueting House, London on 3rd October 2018. The winning projects were London Bridge Station, Knostrop Weir Foot and Cycle Bridge, Leeds, Jaguar Land Rover Engine Manufacturing Centre, V&A's Exhibition Road Quarter, London, Bloomberg London and The Ordsall Chord Viaduct. Eight projects also received Commendations, namely Two St. Peter's Square, Manchester, The Greenwich Peninsula Low Carbon Energy Centre, Four Pancras Square, London, Brooklands Museum Aircraft Factory and Racetrack Revival, Belfast Waterfront Conference & Exhibition Centre, Approach Viaduct South, Queensferry Crossing, The Beacon of Light, Sunderland and Somers Town Bridge, London. Eight projects received Merits, namely Thirty Broadwick, London, Victoria Palace Theatre Refurbishment, London, Seventy Wilson, London, Walthamstow Wetlands, 1 & 2 London Wall Place, Manchester Victoria Redevelopment, 101 The Embankment, Salford and Walkway Bridges, London Wall Place. Jaguar Land Rover Engine Manufacturing Centre also won the ‘Project of the Year’ award. Television news presenter Emma Crosby presented the awards, now in their 50th year. The judges selected the Award-winning projects from a short list of 22, with all entries scoring highly in efficiency, cost effectiveness, aesthetics, sustainability and innovation. The Steel construction - Cost supplement was produced by the BCSA and Steel for Life and was distributed in hard copy with the main UK construction press in May 2018. The digital version available here has been updated with costs current as of Q1 2019. Attitude surveys have confirmed that cost is often the key driver in selecting the framing material for a building, so it has been a major element in the decision-making process that has given steel construction market shares of over 90% in single storey industrial buildings and around 70% in multi-storey buildings. Just as the design and construction process has to be just right, it is also important that the costing process is undertaken properly if correct decisions are to be reached. The steel sector recognises the importance of achieving accurate cost estimates and has invested in providing guidance and assistance to the construction professionals involved for some years. One result is Costing Steelwork, a regular series from AECOM, BCSA and Steel for Life published quarterly in Building magazine that provides guidance on costing structural steelwork. 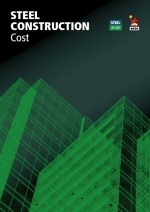 Costing Steelwork examines the process of cost planning through the design stages, highlights the key cost drivers for different sectors and provides building type-specific cost comparisons. It also includes a cost table, which indicates cost ranges for various frame types that can be used at all design stages to act as a comparative cost benchmark. This Steel construction – Cost publication gathers together the first five issues in the series to provide comprehensive guidance across the five sectors covered by the study, namely office, education, industrial, retail and mixed-use buildings with costs current as of Q1 2019. 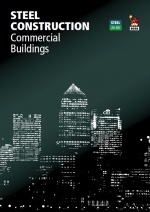 The Steel construction – Commercial Buildings supplement was produced by Steel for Life and the BCSA and distributed with the main UK construction press in November 2016. 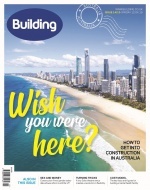 The publication gives an overview of the multi-storey office buildings sector and is the latest in a series of publications from the steel sector that aims to keep construction professionals abreast of developments that will help them in design and construction of steel-framed buildings. Using case studies of real projects that are under construction, the reasons why steel frames are consistently the preferred market choice for multi-storey buildings are explained. Cost data from model studies of the sort of buildings that are actually being constructed in the UK explain why on cost grounds alone steel frames are selected for around 70% of multi-storey commercial buildings. Case studies also show steel’s inherent on-site advantages, regularly delivering the savings on construction programmes that make life so much easier for hard-pressed construction teams. Just in time delivery of offsite fabricated steel chimes perfectly with the drive towards modern methods of construction, and the recent Farmer Review finding that construction’s survival as an industry may depend on more widespread adoption of such techniques. The Steel construction – Floor vibration supplement was produced by Steel for Life and the BCSA and was be distributed with NSC magazine in May 2016. For most multi-storey commercial buildings, straightforward steel construction will meet the required vibration performance criteria without modification. For more vibration-sensitive applications, such as hospital operating theatre floors or research laboratories, steel’s advantages can be utilised, although stiffer solutions may be necessary. Even if a stiffer floor is required, steel remains the most cost-effective and lightweight solution. Long-span applications, for which steel is the only option, have been found to offer good dynamic performance, despite common preconceptions that steel composite floors are thought to be livelier than concrete ones. This is because the stiffer beams and large mass of the long-span floor plates, which participates in any motion, reduce the magnitude of the vibration response. The steel sector has extensive experience in designing steel structures to ensure compliance with even the strictest vibration performance criteria. 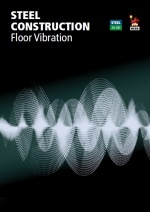 This guide is an introduction to the subject of floor vibrations. It describes what they are, what levels are acceptable and how they are assessed, and introduces a new web-based simple design tool. The Steel Construction – Embodied Carbon supplement was produced by Tata Steel and the BCSA in September 2014. The term ‘embodied carbon’ refers to the lifecycle greenhouse gas emissions that occur during the manufacture and transport of construction materials and components, as well as the construction process itself and end of life aspects of the building. In recent years, the embodied carbon of construction materials has become synonymous with the term ‘carbon footprint’. As the operational energy efficiency of buildings is improved, the relative importance of the embodied carbon impact is increasing. As a consequence, it is receiving more attention by designers. The purpose of this guide is to give designers an overview of how embodied carbon should be considered, some practical guidance on how to assess embodied carbon on individual projects and some case studies on how structural steelwork compares with other framing materials. 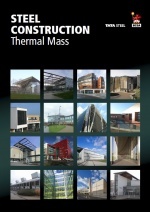 The Steel construction - Thermal mass supplement was produced by Tata Steel and the BCSA and distributed with the main UK construction press between January and early March 2014. Thermal mass describes the ability of the fabric of a building to absorb and store heat. Used effectively, it can reduce cooling loads and, in some cases, remove the requirement to provide air conditioning. In most multi-storey buildings, the thermal mass is provided by the concrete in the upper floor slabs. This guide is an introduction to the use of thermal mass to reduce operational energy use in non-domestic buildings in the UK. It describes thermal mass and explains how it can be used as part of a fabric energy storage (FES) strategy to achieve sustainable, energy efficient buildings. It dispels the myth that thermal mass is only effective in heavyweight buildings with thick concrete floors and demonstrates that fabric energy storage strategies are equally effective in structurally efficient, steel-framed buildings. 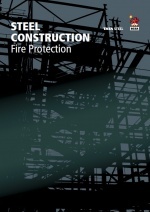 The Steel construction - Fire Protection supplement was produced by Tata Steel and the BCSA and distributed with the main UK construction press in September/October 2013. More is known about structural steelwork in fire than any other construction material. Its performance has been determined through a series of full-scale fire tests, which are unparalleled for other materials. Determining the fire protection requirements for the structural steelwork of a building is a simple and straightforward process, consistent across all types of common buildings. 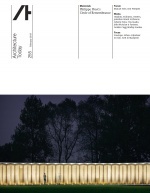 The procedure is clearly set out in this document, which is intended to be a reference aid for designers at all levels. Whilst it is a standalone guide, it also points the designer to the wealth of online articles available on this topic. The Steel construction – CE Marking supplement was originally produced by the BCSA and Tata Steel in association with Barrett Byrd Associates, and distributed with key construction titles during March/April 2013. Since then it has been updated to reflect the passing of time, and most recently a change in the procedure for selecting the Execution Class for a structure. This is version 4. 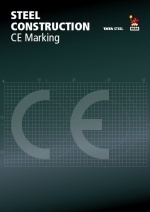 CE Marking for all construction products, covered by a harmonised European standard or conforming to a European Technical Assessment became mandatory on 1 July 2013. For fabricated structural steelwork, CE Marking became mandatory on 1 July 2014. This represents a major development for engineers, contractors and steelwork specialists and it demands careful attention to the new obligations imposed. This 20-page publication highlights how the steel construction sector has been working behind the scenes towards achieving CE Marking. Perhaps more importantly, it spells out in detail what it will mean for the rest of the construction sector and what you need to do to comply with the Construction Products Regulation that is the legal basis for the new regime. The Steel construction - education sector supplement was produced by the BCSA and Tata Steel and distributed with the main UK construction press in January/February 2013. The publication gives an overview of the education sector, highlights the key design and construction issues and presents a series of project case study reports that highlight how steel delivers first-class, cost-effective and sustainable school buildings. 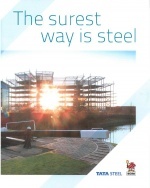 The Surest Way is Steel was produced by the BCSA and Tata Steel and distributed with the main UK construction press in summer 2012. It contains a summary of the benefits of steel construction, including articles on health and safety, sustainability and the cost of structural steelwork, as well as project case studies from the residential and multi-story office sectors. 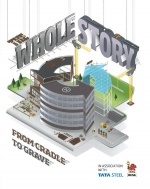 The whole story – from cradle to grave, was produced by the publishers of Building magazine and Building Design magazine in association with Tata Steel and the BCSA. It investigates the whole lifecycle assessment of construction materials from sourcing to end of life. It includes a foreword by Paul King, Chief Executive of the UK Green Building Council. 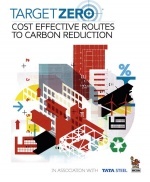 The Target Zero ‘Cost Effective Routes to Carbon Reduction’ supplement was produced by the publishers of Building magazine and Building Design magazine in association with Tata Steel and the BCSA in February 2011. The supplement gives readers an introduction into the Target Zero study, a research project to determine the most cost-effective combinations of materials and technologies needed to make low and zero carbon buildings a reality. It also presents the results and key findings to give clients and designers a clear steer on early decisions for the five different building types studied: schools, warehouses, supermarkets, offices and mixed-use. Target Zero is the largest and most comprehensive study undertaken to date to assess and compare the sustainability performance of new non-domestic buildings in the UK. All building and alternative structural options, energy efficiency measures and renewable energy technologies analysed were independently costed. Target Zero was undertaken by a consortium of leading organisations in the field of sustainable construction: AECOM and The Sweett Group (now part of Currie & Brown) with steel construction expertise provided by Tata Steel Europe RD&T and the Steel Construction Institute (SCI). Full results and guidance from the programme are freely available.